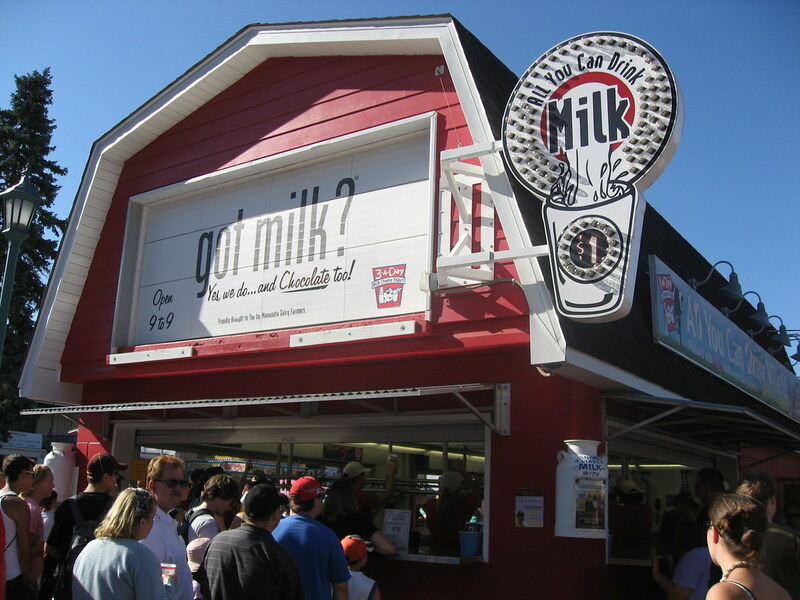 It's not free but the price isn't daunting and if you've got an iron gut or some very stupid friends who accept the challenge, the all-you-can-drink milk could very well be the highlight of the Minnesota State Fair. But you'll have to wait until next year for this delight on Judson Ave. because the 2008 edition of the Minnesota State Fair is gone but not forgotten. Hey, maybe I'll challenge you to a milk drinking contest in 2009 -- it's only a buck!